Milos Uzan, the coach’s son, has led the Jaguars in scoring, assists and steals and has them on a 13-game winning streak as they prepare for the Mountain Region tournament, which begins Monday at host sites. 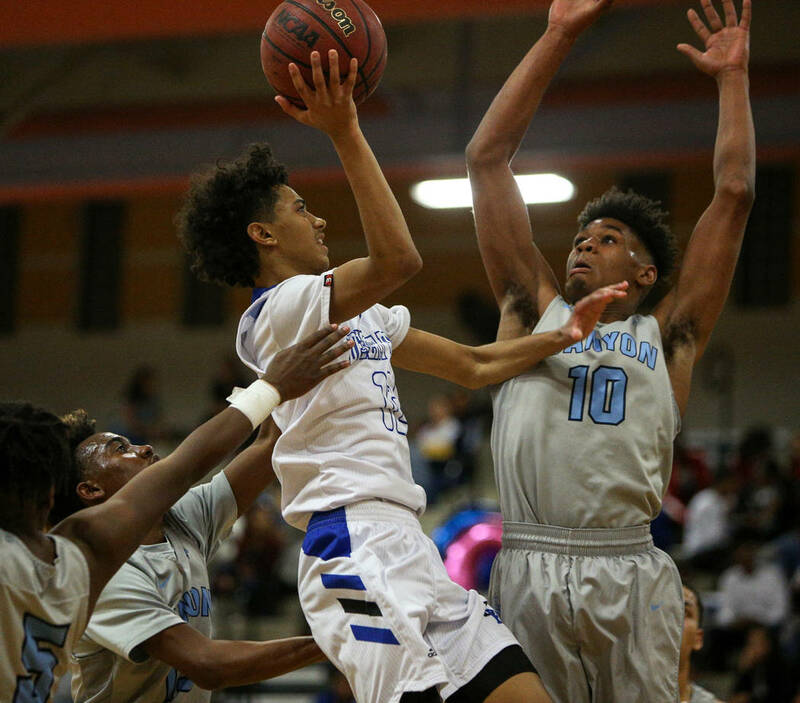 Desert Pines boys basketball coach Mike Uzan isn’t surprised by the success of his freshman point guard. Of course, Uzan is a little more familiar with him than most people. 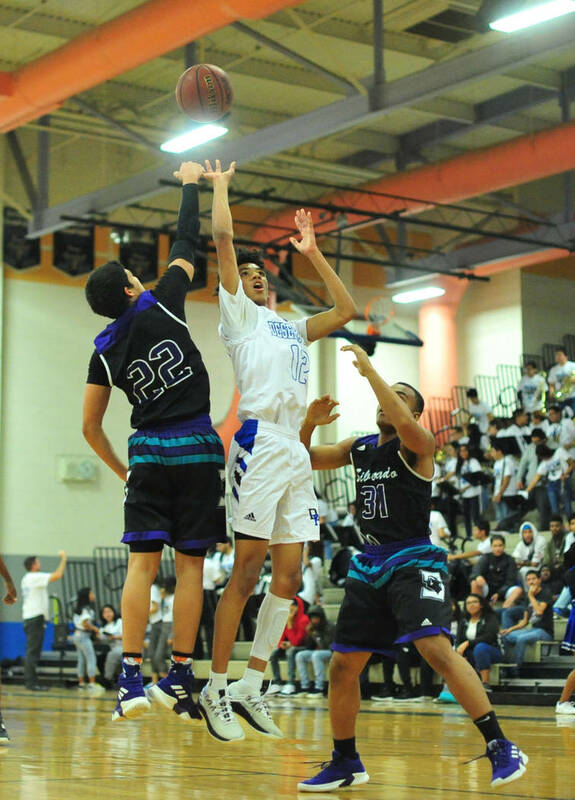 Milos Uzan averaged 13.4 points, 4.2 rebounds, 4.5 assists and 1.9 steals in leading Desert Pines (20-6) to an undefeated run through the Northeast League. That finish gave the Jaguars a double bye in the tournament, so they won’t play until the quarterfinals on Friday. Mike Uzan said it’s no surprise that his son has been ready to lead the team as a freshman. 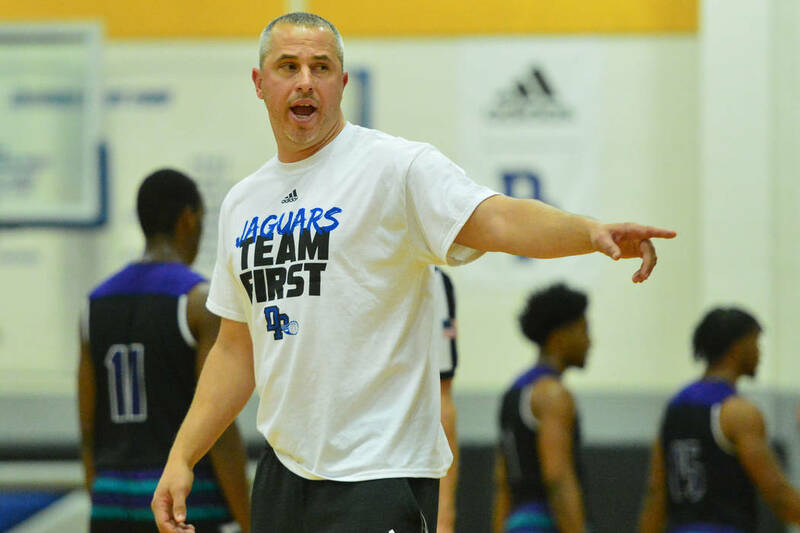 Milos Uzan was around the team’s practices and games over the past two seasons when the Jaguars won Class 3A state titles. Now he’s a reason the team is ready to contend at the Class 4A level. Milos Uzan is armed with pass-first attitude, but also has the ability to knock down a 3-pointer or shake a defender with a quick change of direction and crossover dribble. 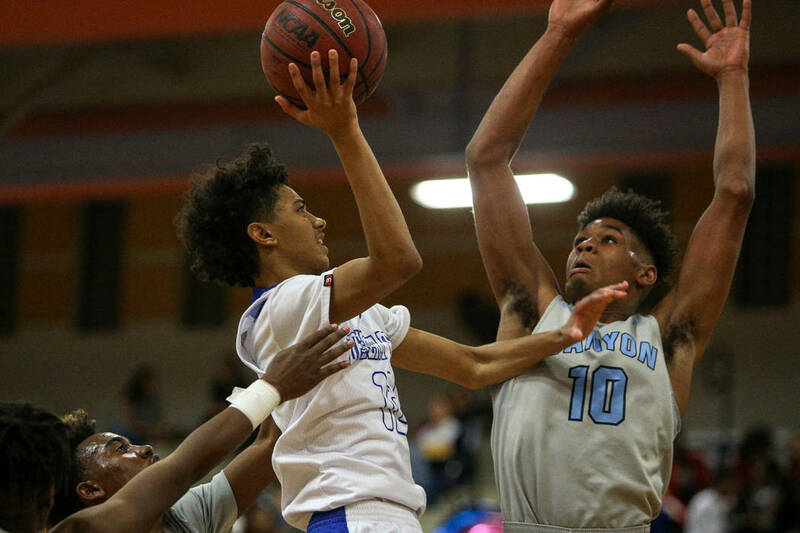 Milos Uzan is one of the young guns for Desert Pines, which has two freshmen and three sophomores among its top six scorers. Sophomore Dayshawn Wiley has averaged 12.8 points and 6.5 rebounds, and junior football standout Darnell Washington has given the Jaguars an inside presence with 10.3 points and 11.8 rebounds per game. 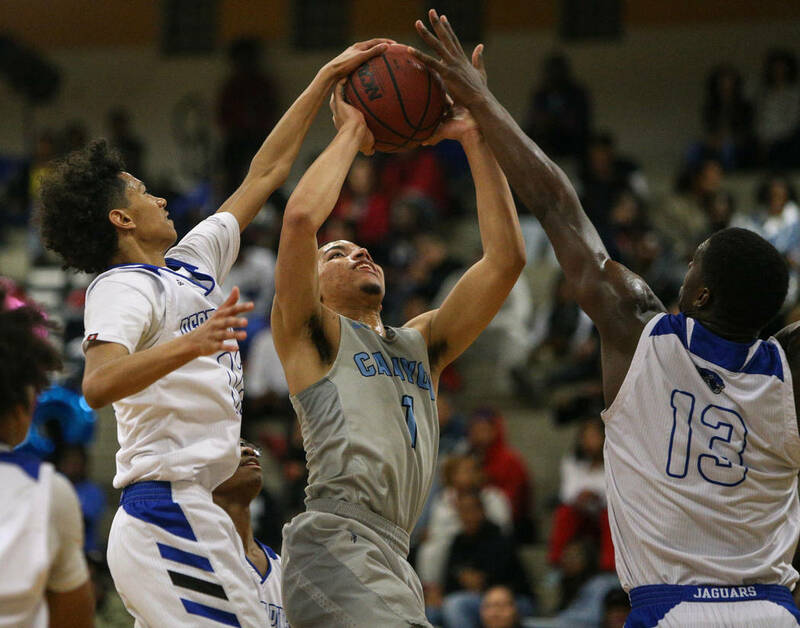 Sophomore Cimarron Conriquez is the team’s other double-figure scorer at 11.4 points. Mike Uzan said that chemistry is one of the reasons he thinks his squad can make a serious postseason run. And because so many of the team’s top players figure to be back next season, the future looks bright, too.